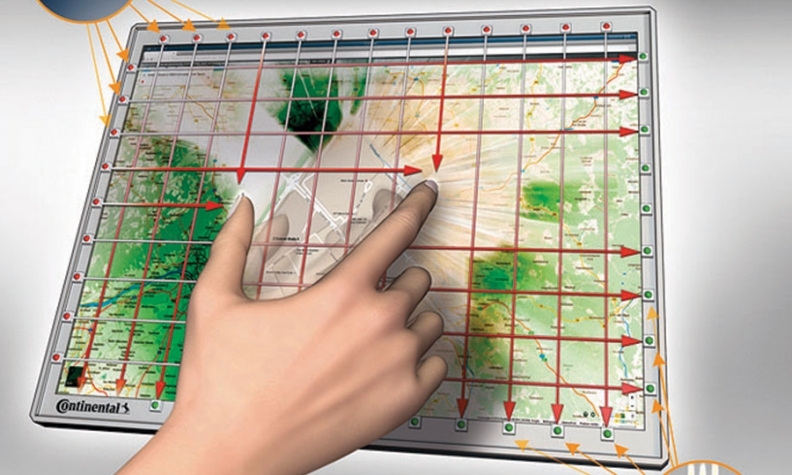 Suppliers dream up future innovations. Will automakers bite? 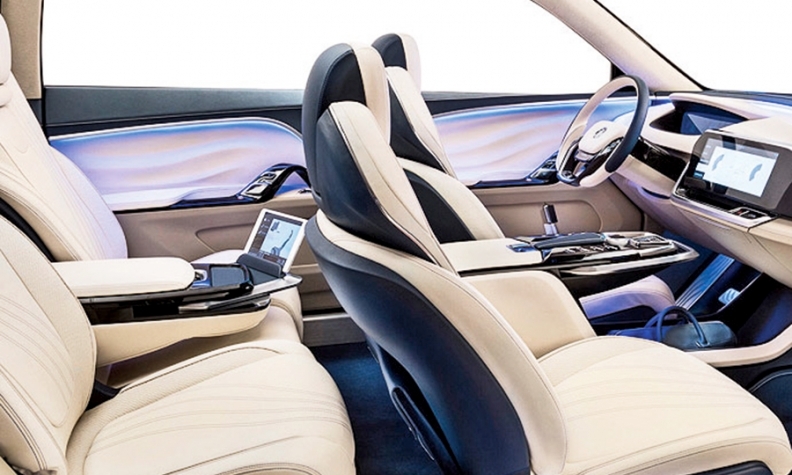 In the Johnson Controls concept for autonomous car interiors, the front seatbacks rotate to enable front-row occupants to address those in the second row. Suppliers try to look over the horizon and craft new features and equipment for autos. Here’s a sample of interesting ideas that suppliers showed this month at the North American International Auto Show in Detroit, compiled by Bradford Wernle and David Sedgwick. Why it's cool: A knob on the nav screen is programmed to control a variety of functions -- audio, navigation, climate control -- allowing one knob to do the job of many. Will it go into production? Elements of eCockpit -- especially the trick knob -- are likely to attract customers. 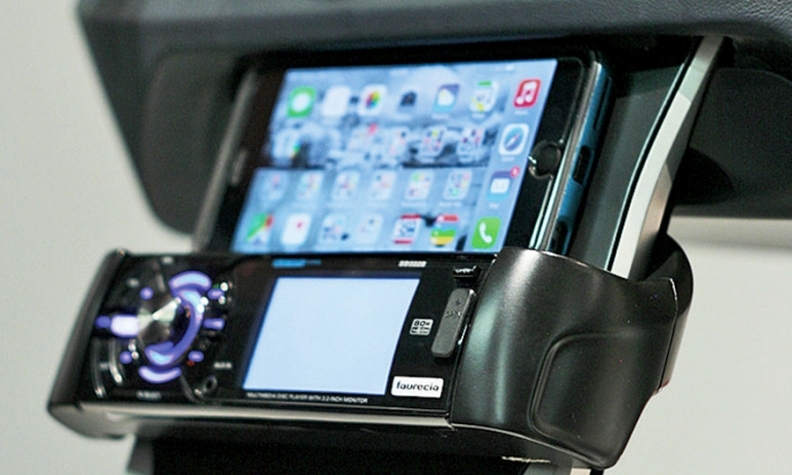 Why it's cool: A docked device is integrated with the vehicle's infotainment system and can stream music via Bluetooth. Faurecia anticipates the dock will support Near Field Communication to allow different users to customize vehicle functions, such as seat position and interior lighting. The dock holds the device safely in place while charging it wirelessly. No more messy cords. Will it go into production? Faurecia says it is "talking with a number of OEMs" about production versions by late 2016. Why it’s cool: A docked device is integrated with the vehicle’s infotainment system and can stream music via Bluetooth. 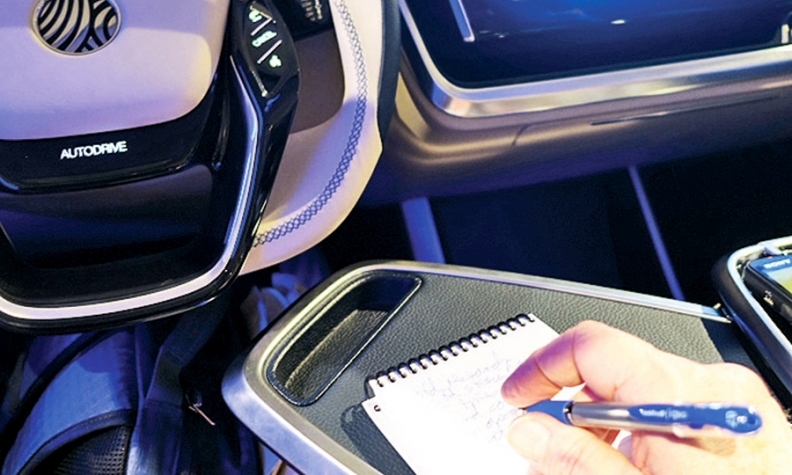 Faurecia anticipates the dock will support Near Field Communication to allow different users to customize vehicle functions, such as seat position and interior lighting. The dock holds the device safely in place while charging it wirelessly. No more messy cords. Will it go into production? 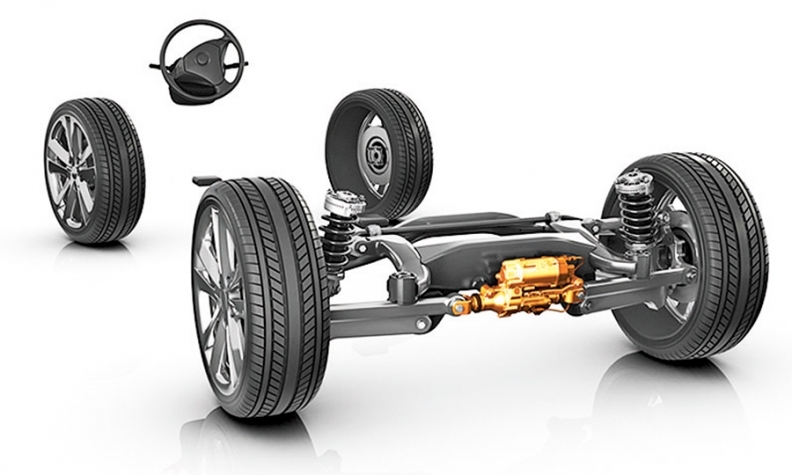 Faurecia says it is “talking with a number of OEMs” about production versions by late 2016. What is it? 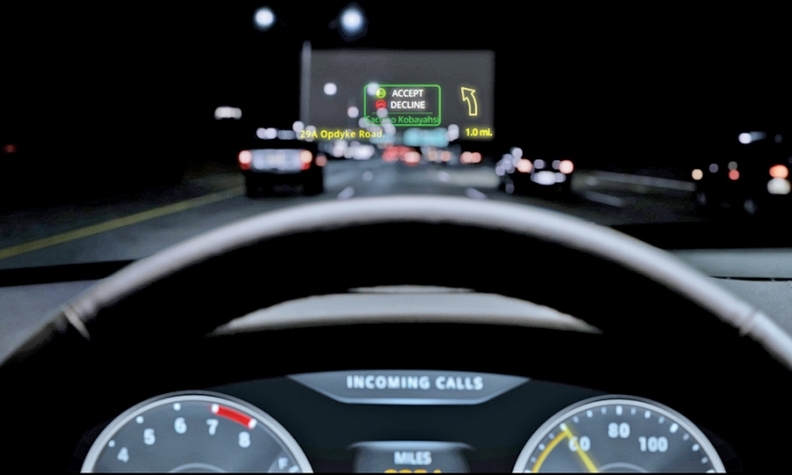 Infrared sensors detect the motorist’s fingers making swiping, zooming and pinching motions on the center-stack screen. They can convert those motions into commands, just like on a smartphone screen. Why it’s cool: Users can wear gloves while they adjust the controls, which isn’t possible with smartphones’ capacitive screens. Will it go into production? Uncertain, butContinental says it’s ready for production in 2017. What is it? 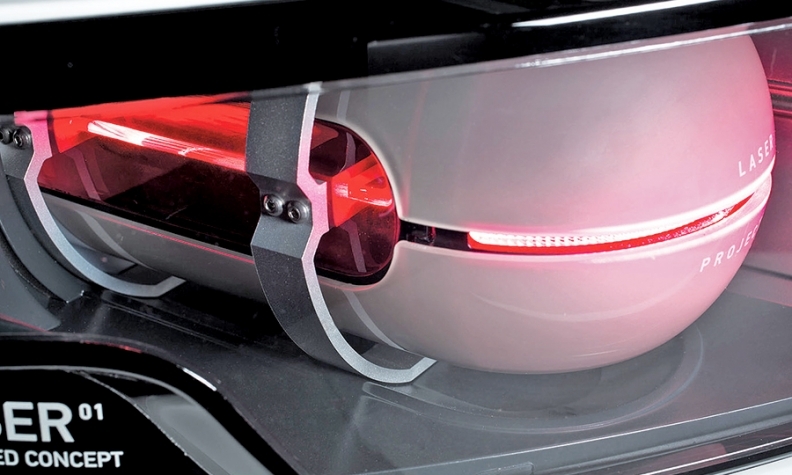 A laser provides light for rear taillamps and brake lights. Why it’s cool: The laser and its reflector would be very compact, allowing automakers some packaging advantages. Will it go into production? Uncertain. Hella says it can produce the lamps within 2 or 3 years, but laser taillamps would be more costly than LEDs. What is it? The concept is designed to showcase Johnson Controls’ vision for autonomous driving. It also caters to Chinese luxury buyers, who value interior refinement and rear-seat amenities. Why it’s cool: The steering wheel telescopes toward the dash in autonomous mode, making room for trays that swivel out from the center consoles to the laps of occupants. The front seatbacks rotate to enable front-row occupants to address those in the second row. Will it go into production? The concept is geared to show how autos might look in 2025 and how partially autonomous vehicles, in which drivers relinquish control for certain periods, might look in the next 5 to 10 years. What is it? Steerable rear wheels help the vehicle make tight turns on city streets or quick lane changes at high speeds on the highway. They are activated only when needed. Why it’s cool: Automakers can integrate the rear-steer function into their collision-avoidance systems. Will it go into production? ZF produces it for Porsche, and now it’s looking for more customers.